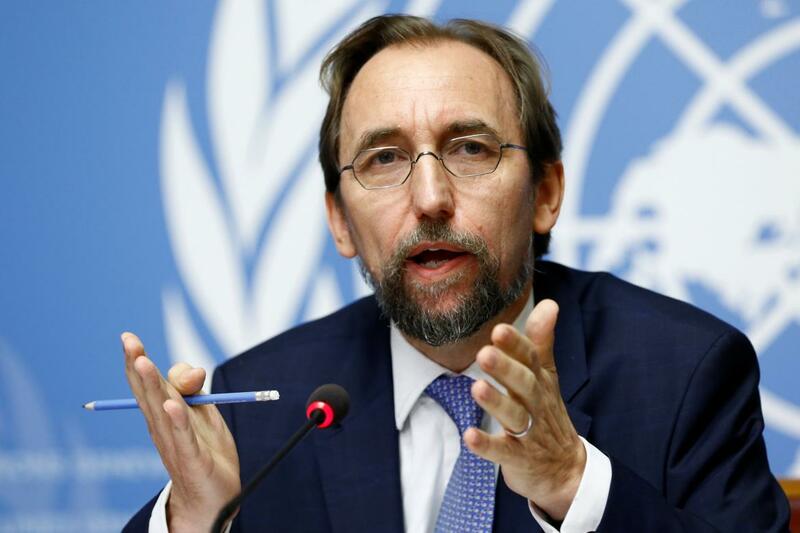 GENEVA — The top United Nations human rights official has said he would not be surprised if a court one day ruled that acts of genocide had been committed against the Rohingya in Myanmar, according to a television interview to be shown on Monday. UN High Commissioner for Human Rights Zeid Ra'ad al-Hussein told the BBC that attacks on the Rohingya had been "well thought out and planned" and he had asked State Counsellor Daw Aung San Suu Kyi to do more to stop the military action. Myanmar denies committing atrocities against the Rohingya and has previously rejected UN criticism for its "politicisation and partiality". The Myanmar military says the crackdown is a legitimate counter-insurgency operation. He did not say, in the excerpts provided, which court could prosecute suspected atrocities. Myanmar is not a member of the International Criminal Court, so referral to that court could be done only by the UN Security Council. But Myanmar's ally China could veto such a referral. Zeid said he had phoned Aung San Suu Kyi in January, asking her in vain to stop the the military operation.